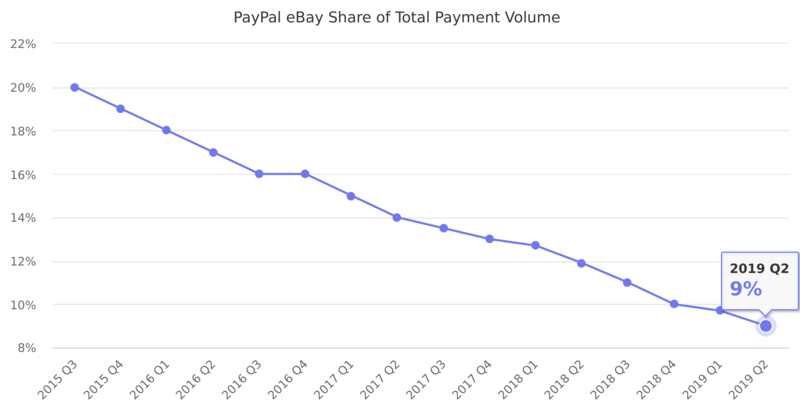 Share of Total Payment Volume originating on eBay marketplaces. It started at 20% in 2015 Q3. PayPal became a separate company from eBay in July 2015, since then it was able to grow beyond eBay transactions. Last reported quarter 2018 Q4 it was 10.0%, down by -23% year-over-year from 13.0%.